Hi there! I have received several emails asking to show some on-the-go snacks. I have to admit, on-the-go snacks is something I need work on. In an ideal world, I prefer my kid’s eat each snack at the table, but the reality is we’re often running errands right in the middle of snack time. There are several things I like to keep on hand that I can grab in a hurry. Here are a few snacks I put together from a NatureBox I received and items lying around our kitchen. What I found works best for me is having a variety of foods that can easily be eaten out of the house (that aren’t messy). 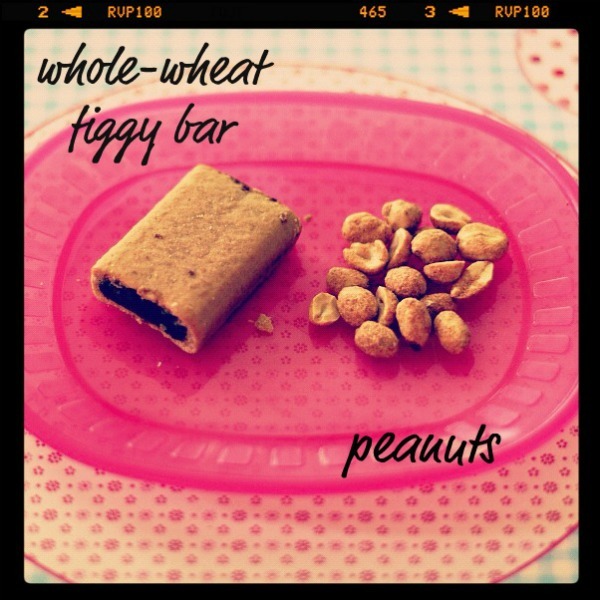 When grabbing a snack I always try to for a whole-grain, fruit, & or low-fat protein. The items listed above are some of M’s favorites. 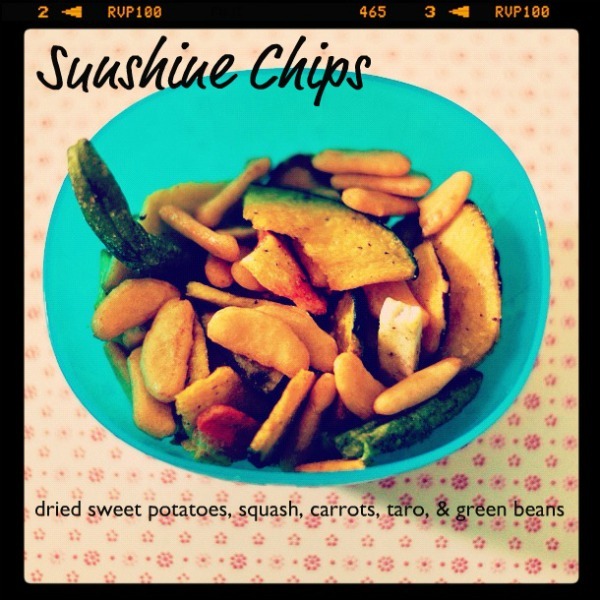 Love the sunshine chips idea — can you tell me where those are from or if you dried them yourself? Portable snacks are a must in my house too! We usually try to have a few high fiber options available as well as those rich in protein. I find that these are the most helpful when we want to satisfy hunger in between meal times. Seriously, this thing called “life” sure gets in the way of blogging! 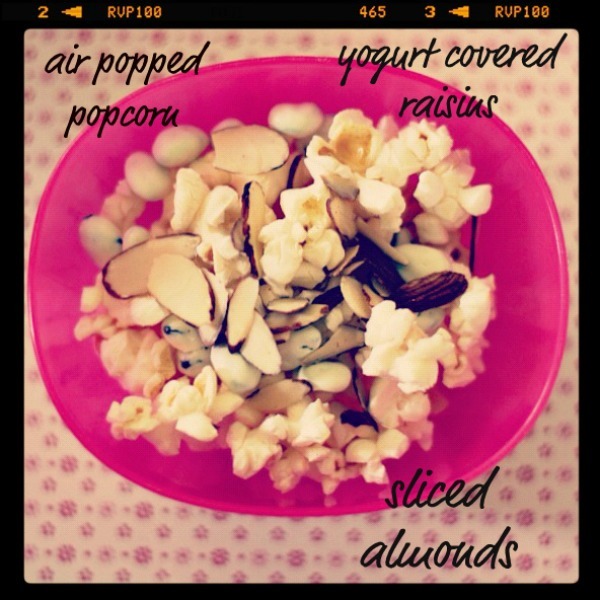 I always forget to make popcorn for snack to mix with other things. We usually just do it for movie nights. Thanks for the reminder!